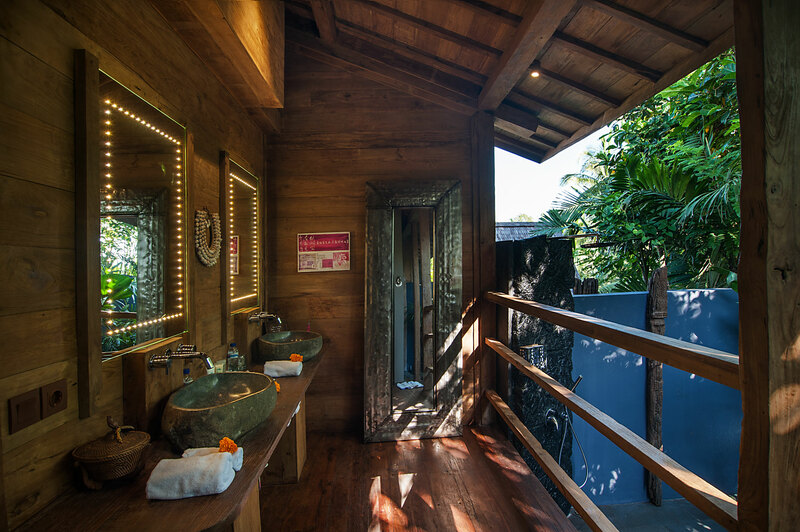 This experience in the Blue Karma Resort in Ubud Bali, has been designed to allow the visitors to free themselves from the negative effects of stress and anxiety and boost energy levels, lose weight and refresh their life energies. 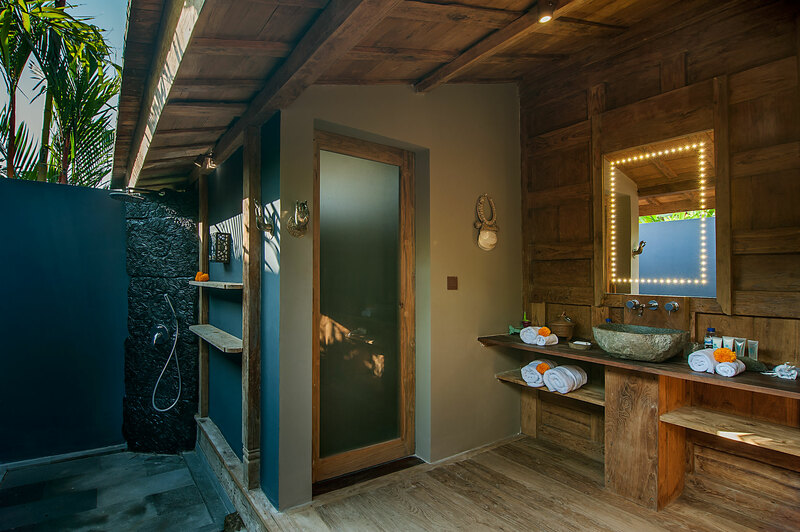 The entire session in Blue Karma Detox Retreat Ubud ensures the purification of the system and the benefits of a healthy lifestyle in a magical setting. 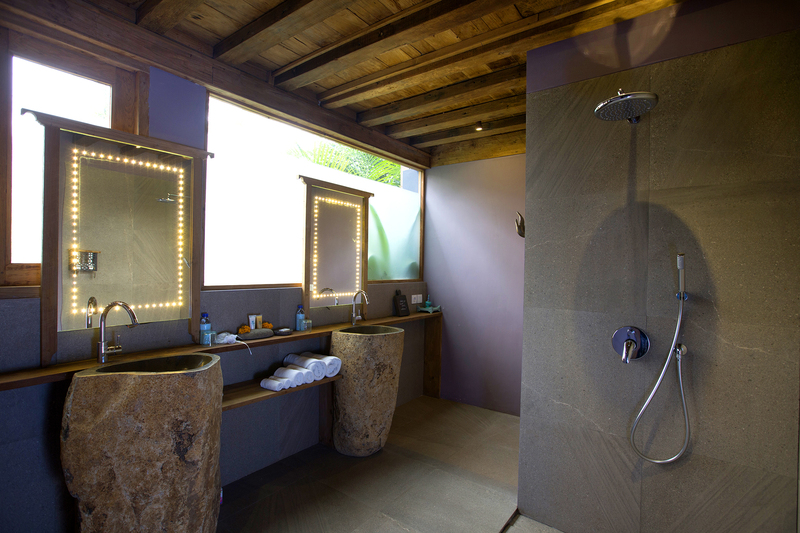 The course includes consultation with specialists regarding diet and colonic treatments. 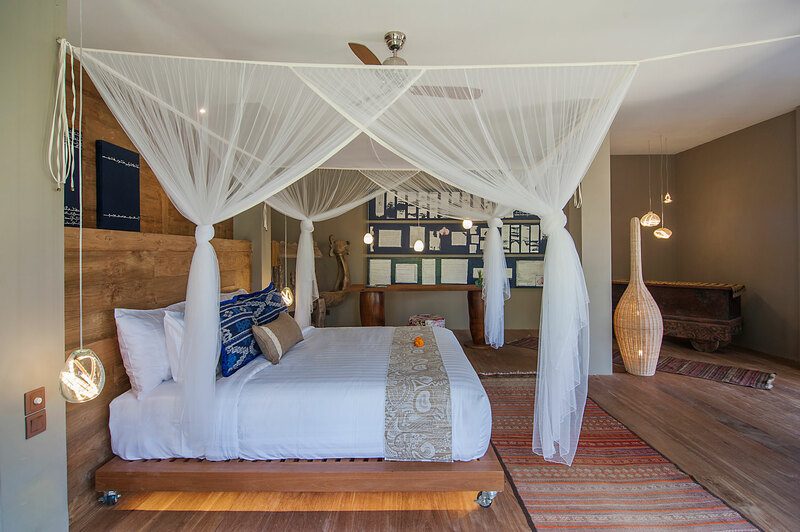 Considering the importance of right nutrition, the blue karma resort and detox retreat provides raw food or cold pressed juices which not only eliminate digestive issues but allows the visitors to experience glowing skin. 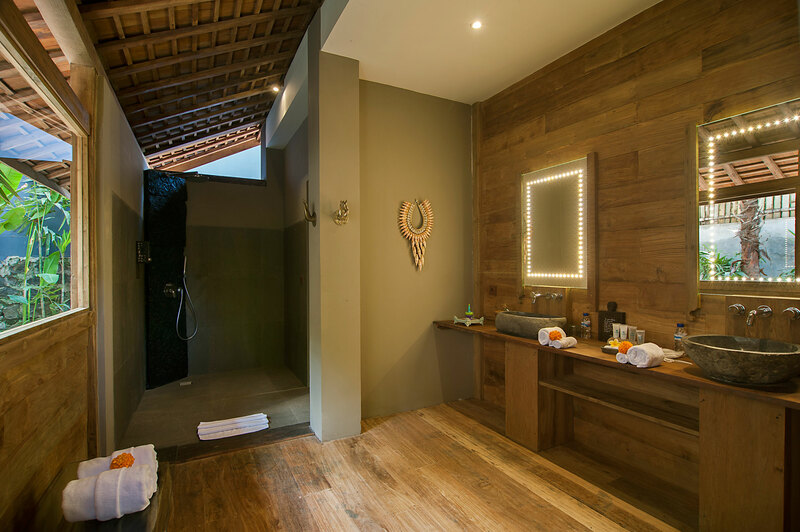 One hour of special spa treatment with a choice from three ethnic methods, help to reduce stress. 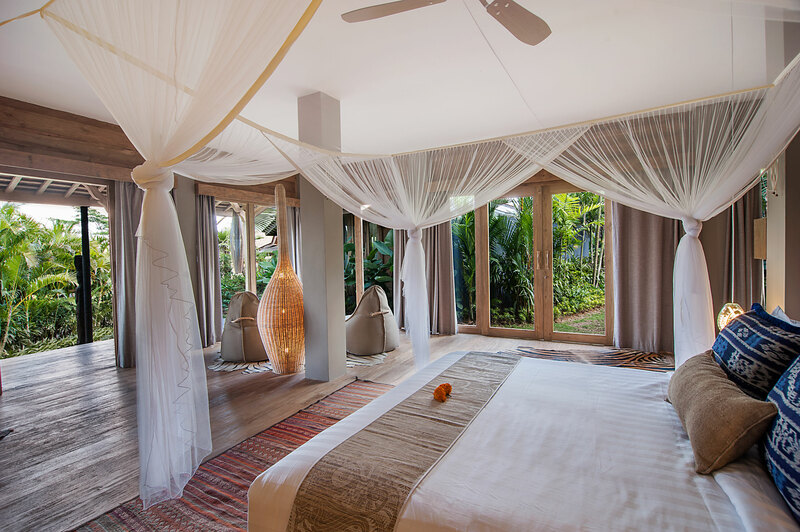 The detox retreat also arranges for a daily yoga class to allow the ancient practice in purifying the system from a deeper level. 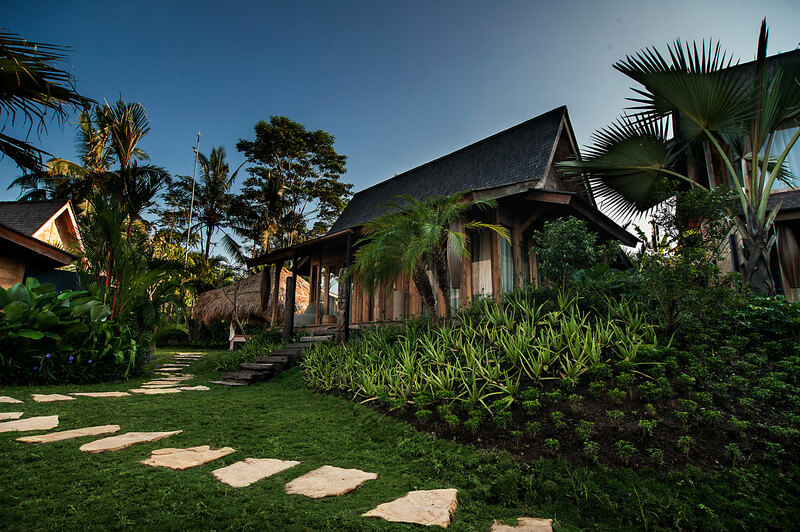 Along with traditional forms of yoga including hatha and ashtanga, the Blue Karma Resort in Ubud Bali also incorporate immersive sessions of meditation for calming the mind. 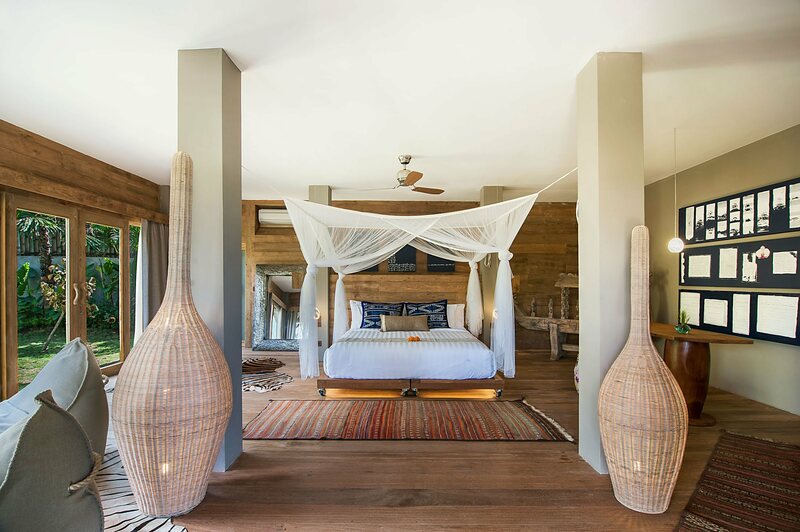 This luxury detox retreat offers an ideal sanctuary to switch off from the rest of the world and look deep within oneself and at the outer world with more clarity and focus. 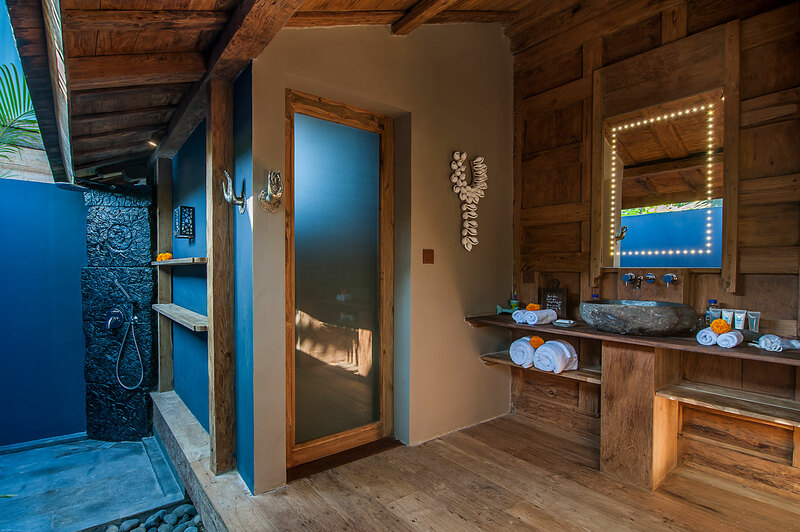 A day’s schedule in this luxury detox retreat includes morning walks and treks that helps the participants to connect more with the all-encompassing natural life force around them. 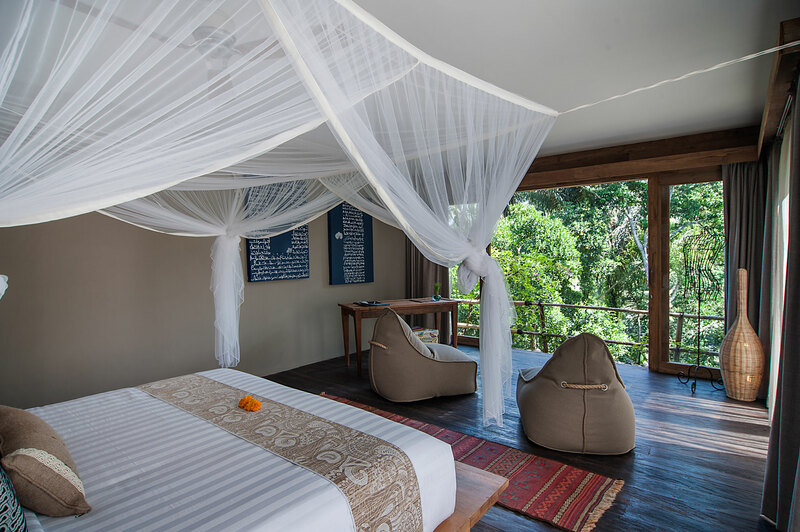 As a premier detox retreat, Blue Karma Resort offers the visitors the opportunity to cleanse the entire system while pampering themselves in a luxurious and comfortable setting of a detox retreat in Ubud. 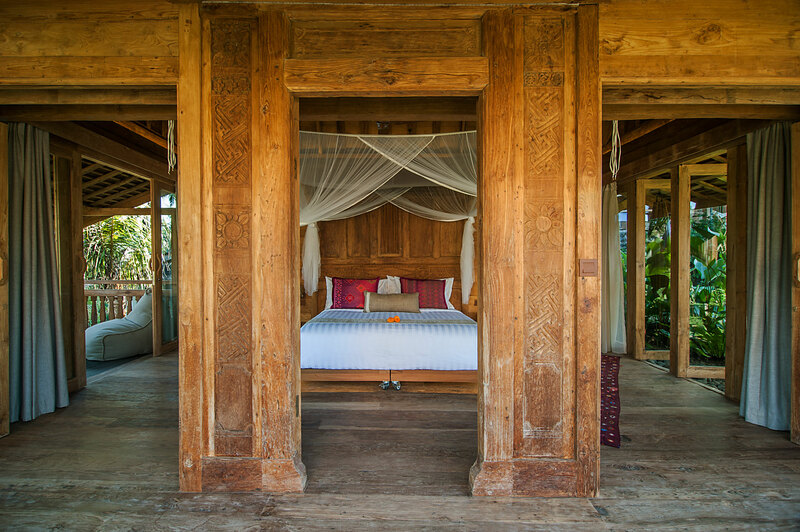 The environment of this detox cleanse yoga retreat is ideal for solo travellers and seekers and also for couples who want to spend some quite romantic moments in Ubud Bali. 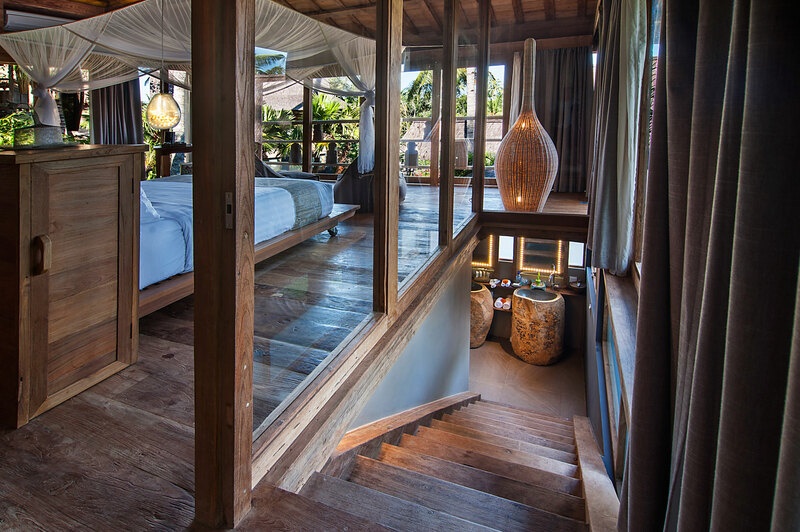 Step into paradise at the luxurious Blue Karma Resort in Ubud Bali. 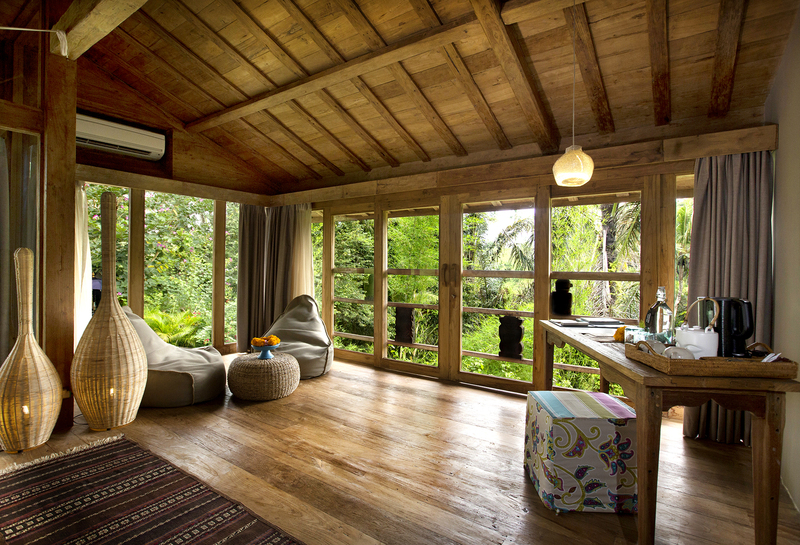 Ubud is an amazing green, luscious landscape with rice paddies sprawled across the hillside. 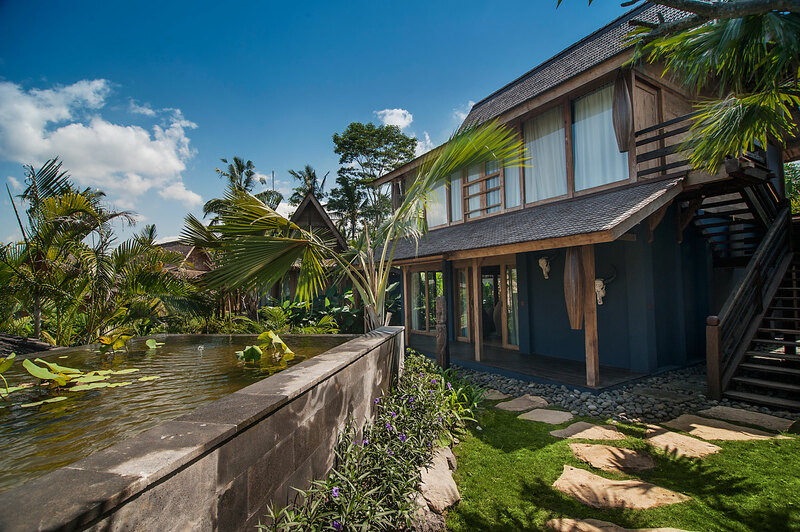 Ubud is known for its scenic countryside of rice paddies and cool mountains, and for its cultural heritage, a center for arts and local crafts. 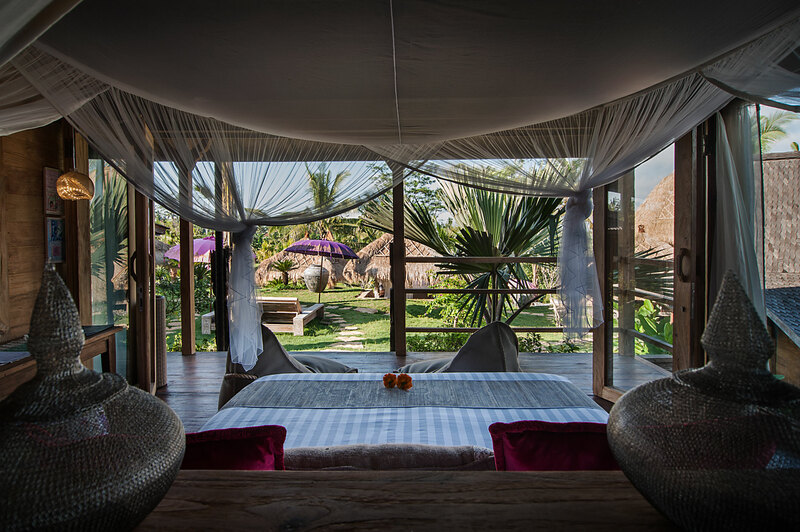 Blue Karma has created a peaceful, beautiful eco-lodge with a 25m2 pool to take a dip in, the thatched yoga pagoda and plenty of other resting places to just relax and unwind. 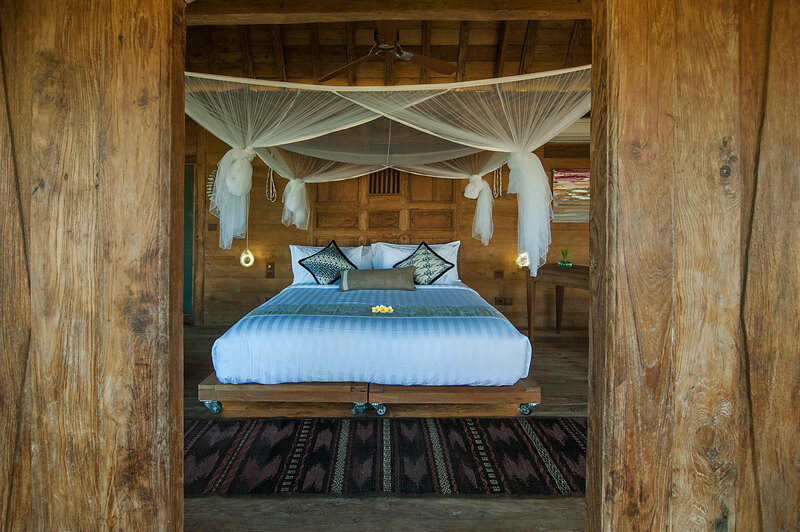 The Blue Karma believes in the incredible impact of daily practice of yoga, arts, dance, meditation and healthy activities like walking through the scenic rice paddy (2 treks are scheduled for guests to enjoy per day). 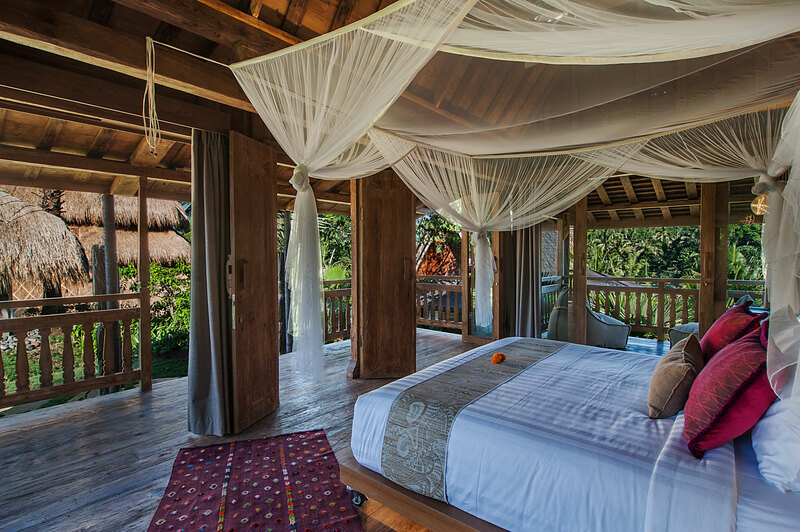 Bali has a fantastic range of cultural sights to see from the Hindu temples, art museums and many other adventures. 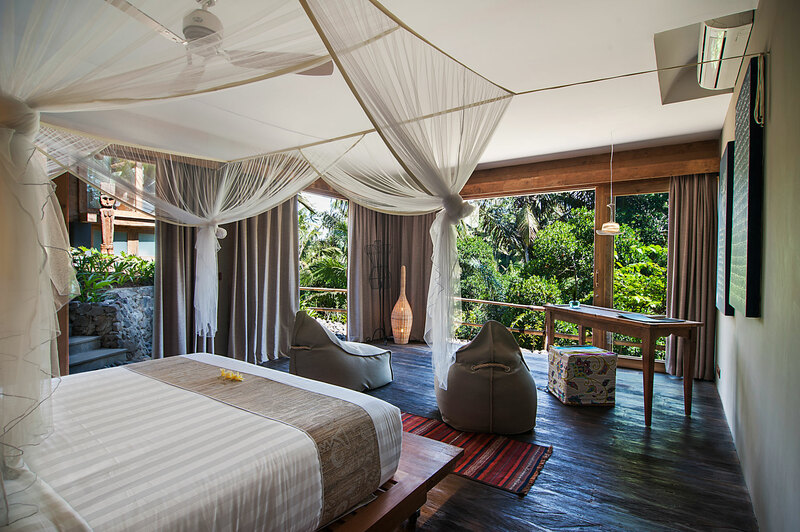 Other activities can be arranged for an extra cost. 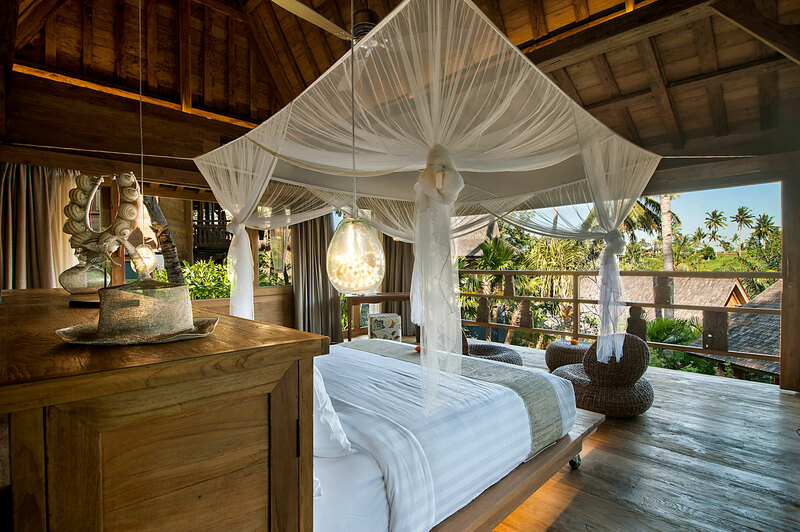 Experience a tranquil, inspiring place to rest and relax at the lavish and luxury Blue Karma in Ubud, Bali. 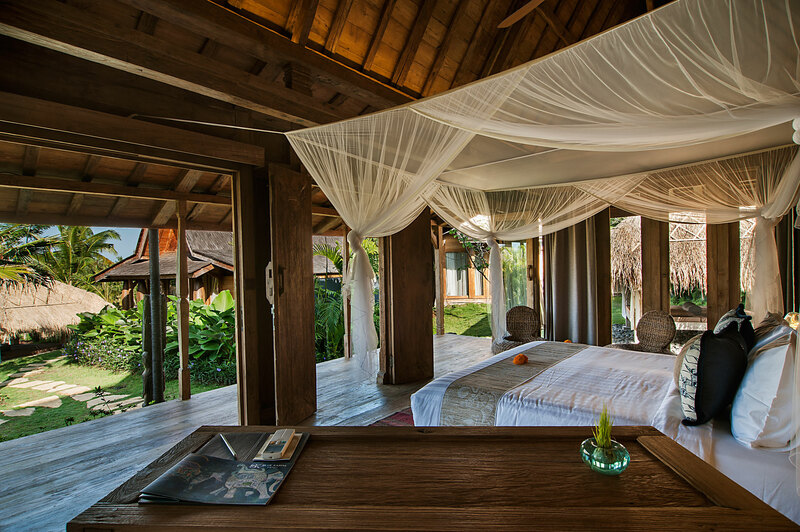 A spectacular wellness resort to experience yoga, practice juice detox, enjoy the famed Balinese massage and so much more. 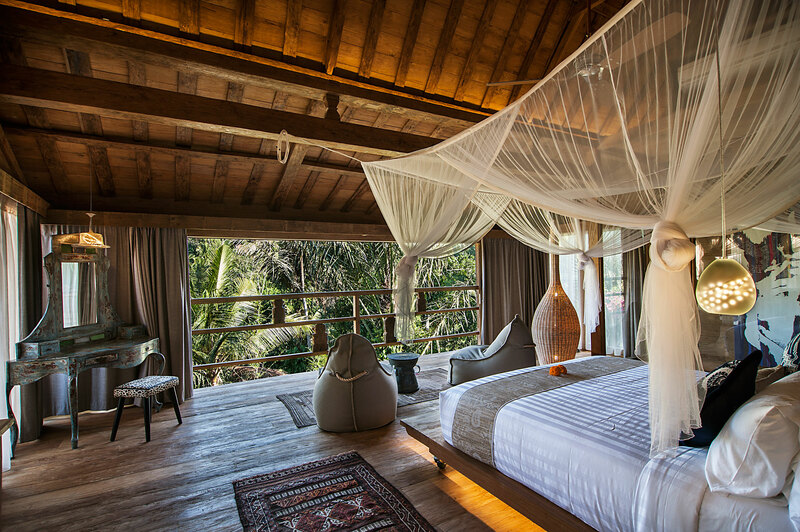 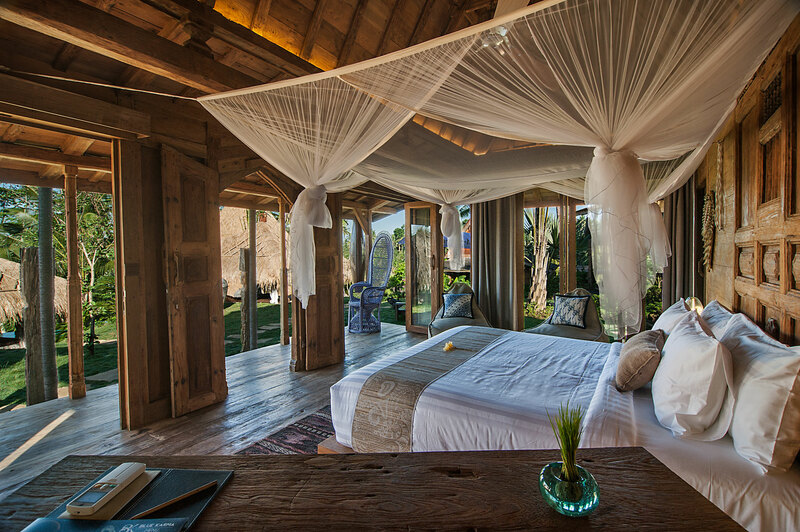 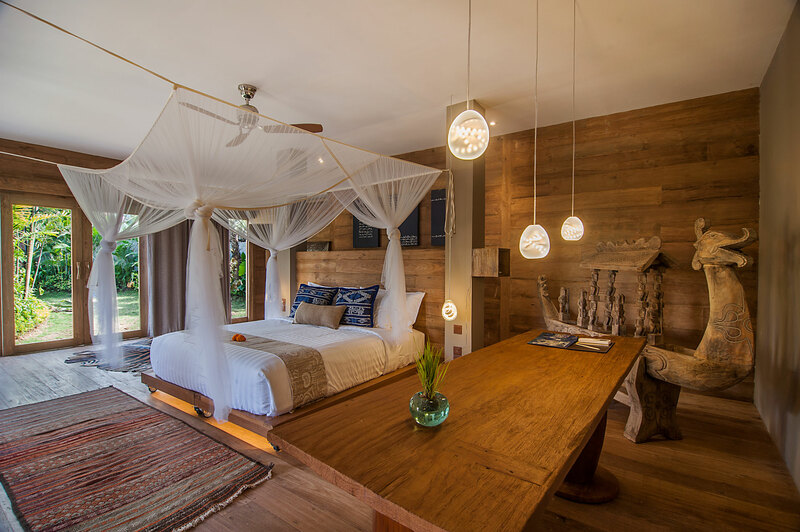 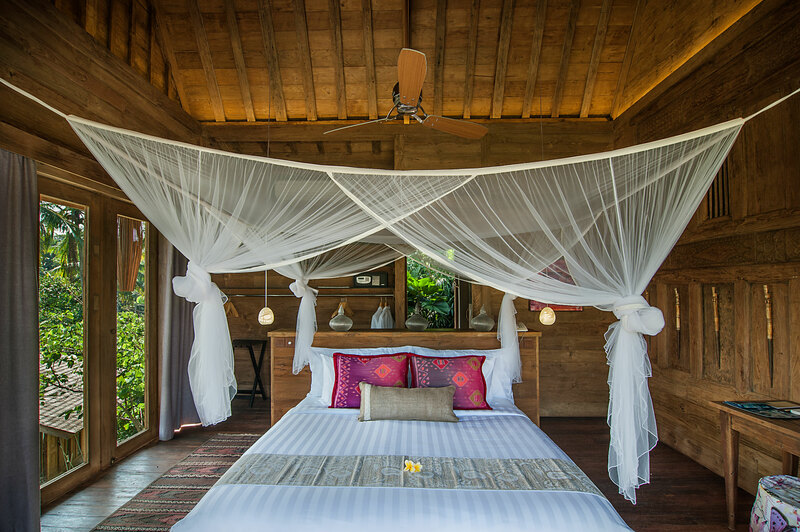 There is a selection of beautiful, eco suites, rooms and Villas to choose from at Blue Karma. 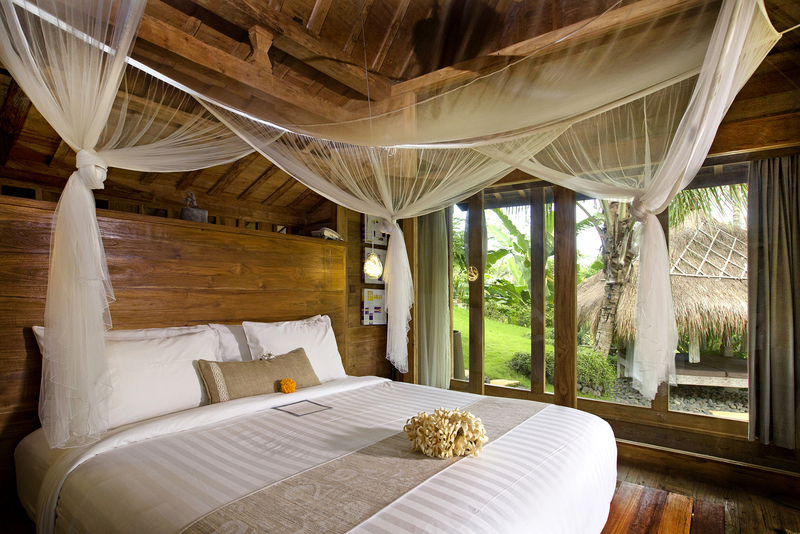 The Garden suite and Superior Garden suite or the Premiere suite room and the Royal suite room. 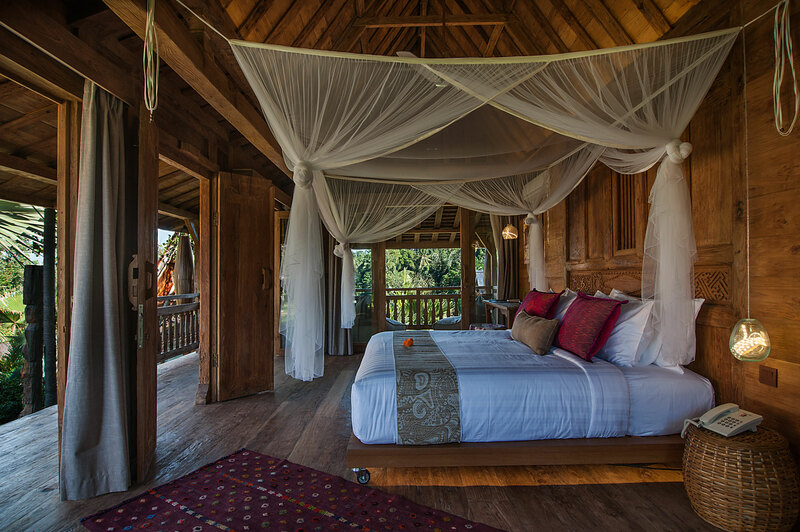 Made from wood and in the traditional wooden joglos way, they are little havens in the form of Javanese huts which have been remastered in a modern fashion to make the unique, lavish and comfortable abodes. 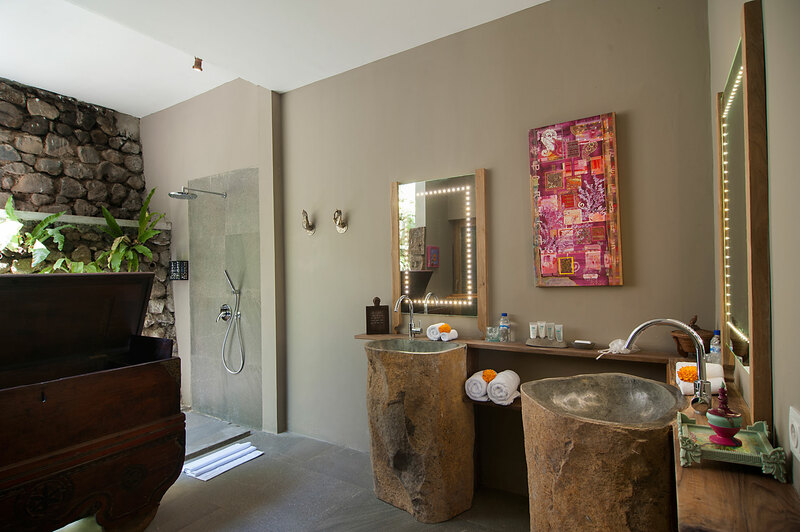 Denpasar International Airport would be the closest most convenient airport. 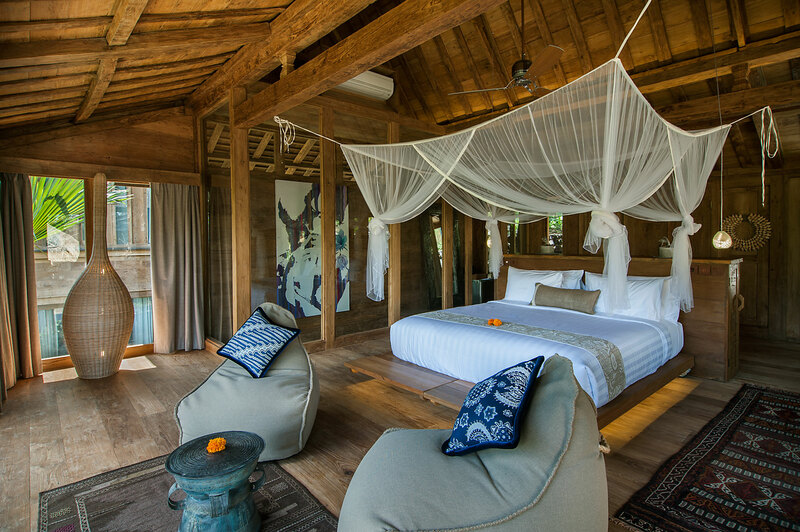 Blue Karma Resort & Retreat Ubud Bali is a 42 km drive from the airport. 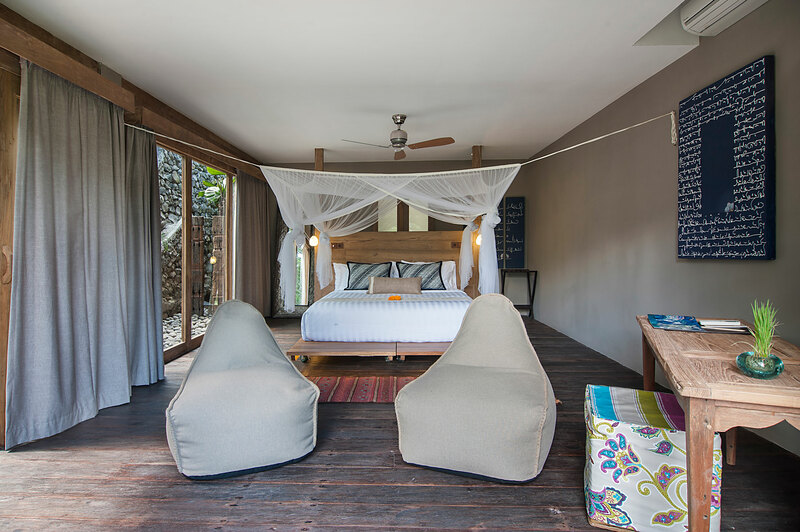 Blue Karma Resort & Retreat Ubud Bali is located on Jalan Raya Suweta street, Ubud, Bali. 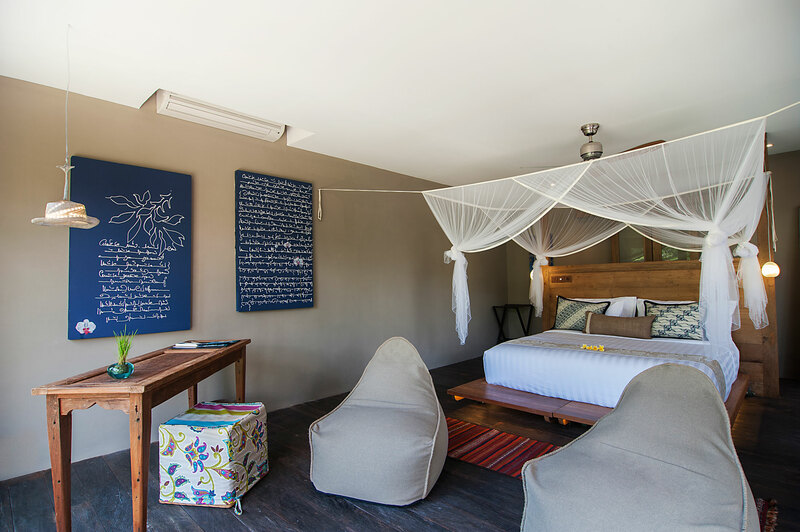 The in-house restaurant at the Blue Karma detox retreat serves a wide range of fresh and delicious dishes including Asian, continental, kids menu and desserts along with various soft drinks and beer. 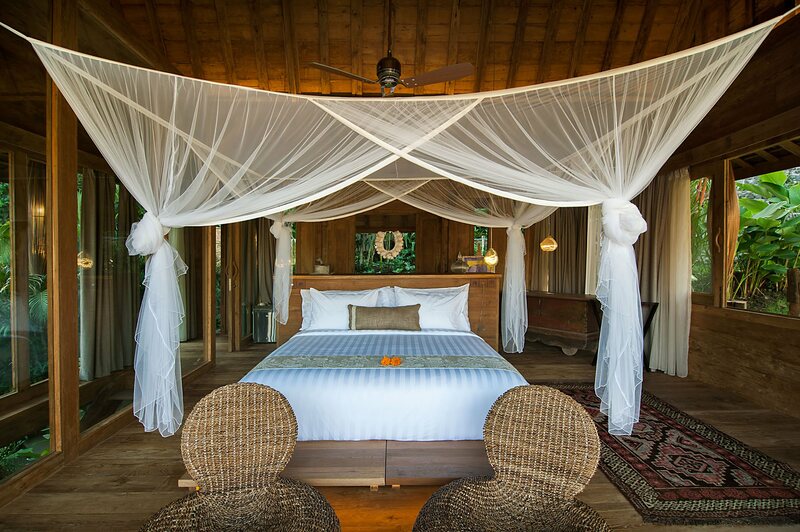 Arrangements of a romantic candlelight dinner in a picturesque outdoor setting is also available in this luxury yoga retreat. 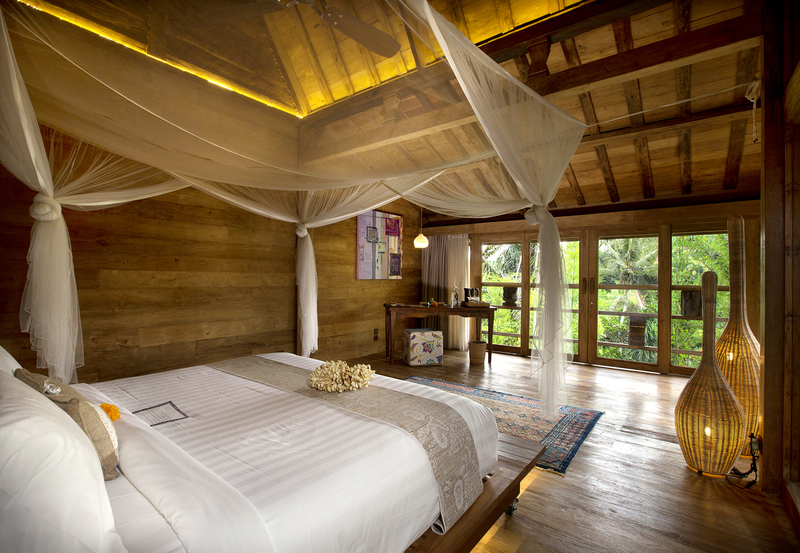 This suite is located amidst lush greenery with half-open bathroom with ethnic and modern decor. 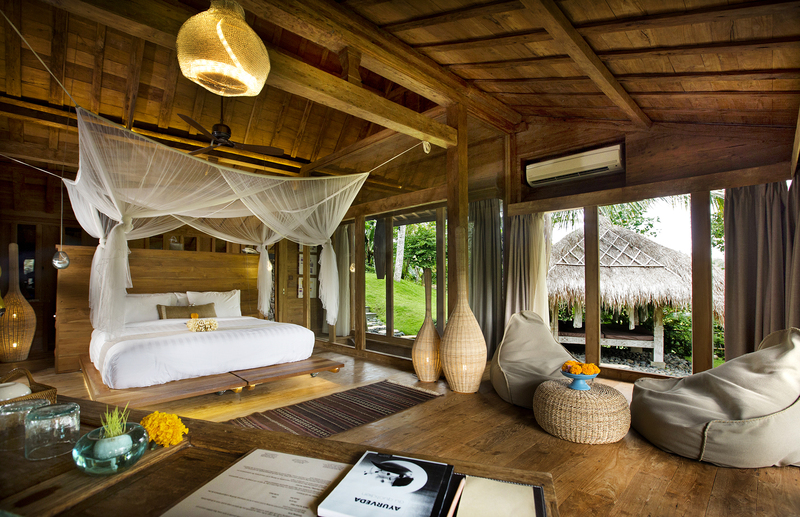 View of the swimming pool, palm trees and rice paddy fields. 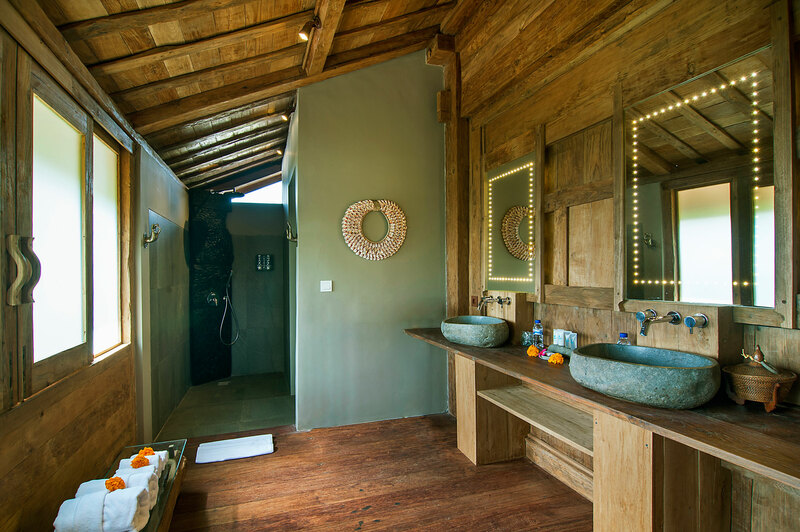 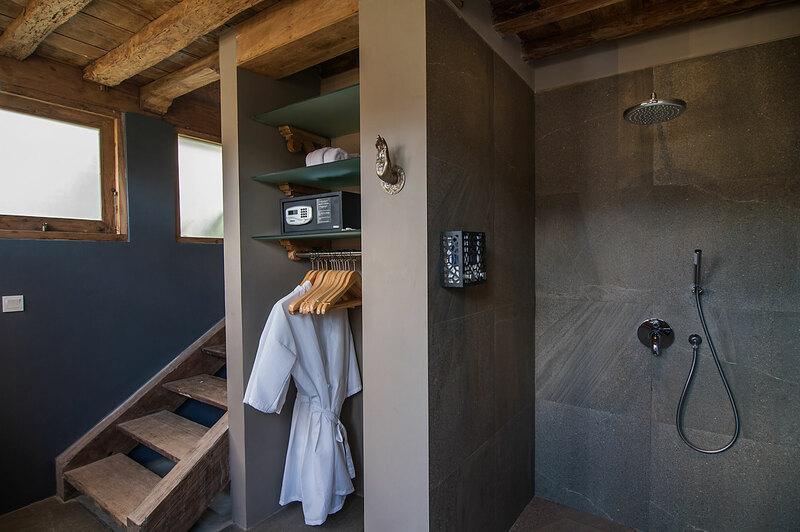 The bathrooms are made of mixtures of traditional materials, stone wash basins, and LED light wall mirrors. 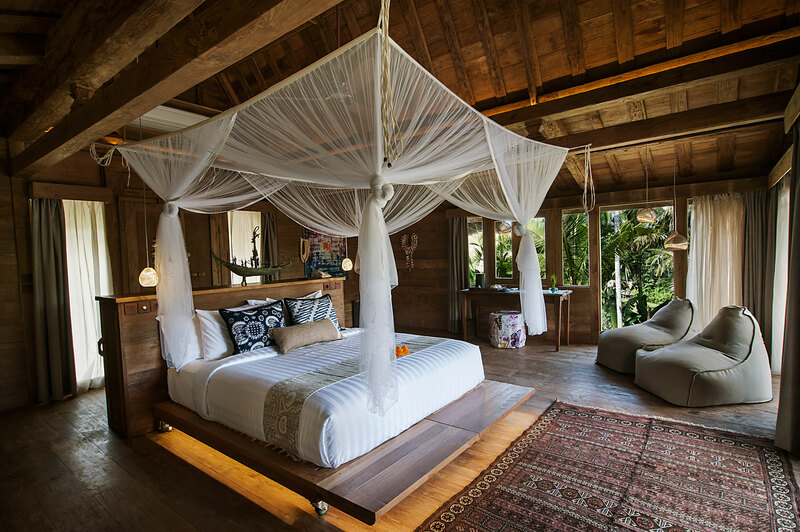 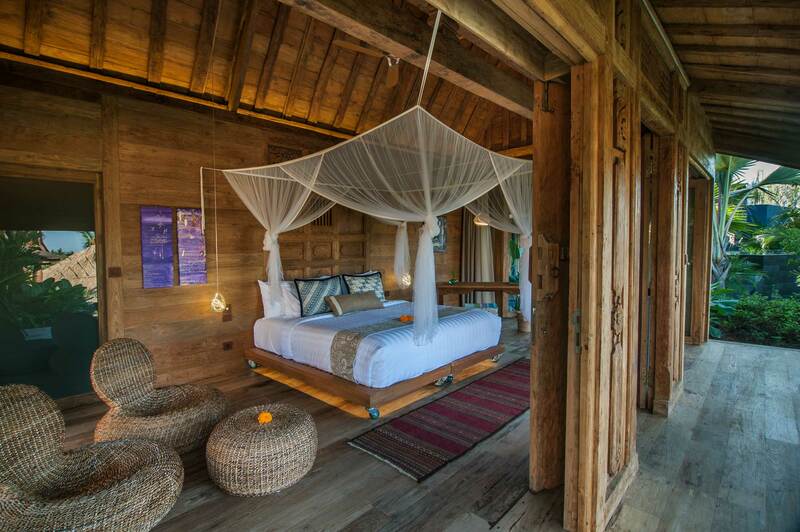 Romantic and charming atmosphere with paintings on the wall and big airy mosquito nets. 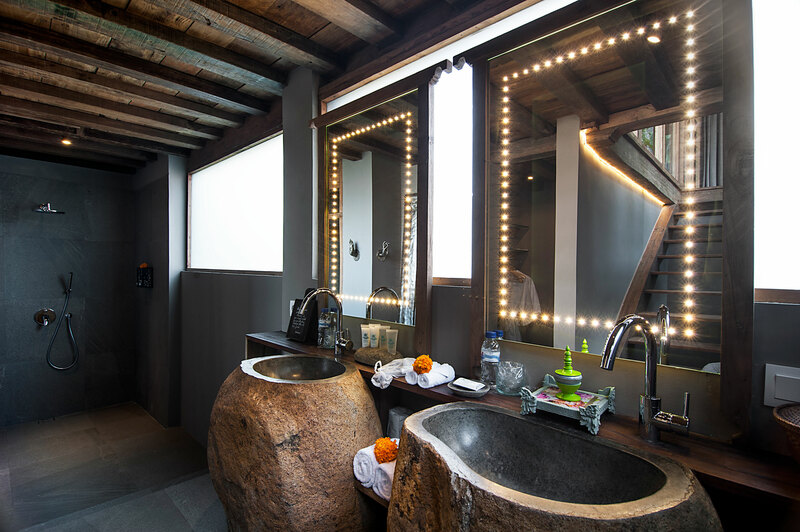 The bathroom is a mixture of traditional materials, stone wash basins, and modern comfort of the LED lighting on the mirrors.